Delivering clear, persuasive sales messages through a website, case studies and articles. 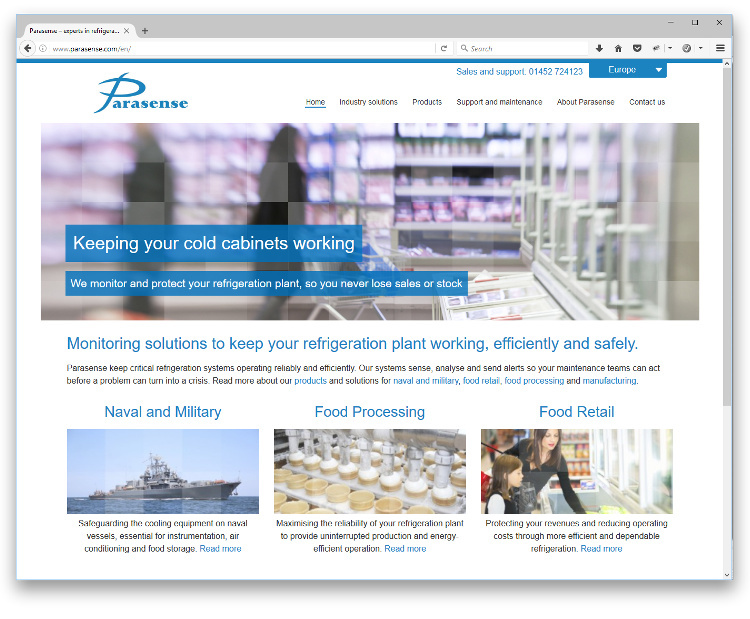 Parasense is an innovative software and engineering business, with products that protect essential cooling systems at sites throughout the world. To support their sales team in reaching more large businesses, we developed clear marketing messages and delivered a new website, brochures, customer case studies and in-depth articles. Parasense is a successful business with products designed and manufactured in the UK and a separate sales and support organisation in the USA. Over time the two parts of the business had been successful in targeting different markets but were not always clear about their different value propositions. We worked with their directors in the UK and USA to properly understand the value that Parasense products deliver to customers in different sectors and the compelling reasons for choosing their products over cheaper competitors. Over time the North American and European businesses had developed two separate websites that were quite different in style and now starting to show their age. We replaced them with a single site that is consistent with the company’s brand values, while directing visitors to the most appropriate content for their region. To help the UK sales team reach more large businesses, we created a new brochure and case studies which highlight how Parasense products and services are trusted by major organisations for mission-critical applications. 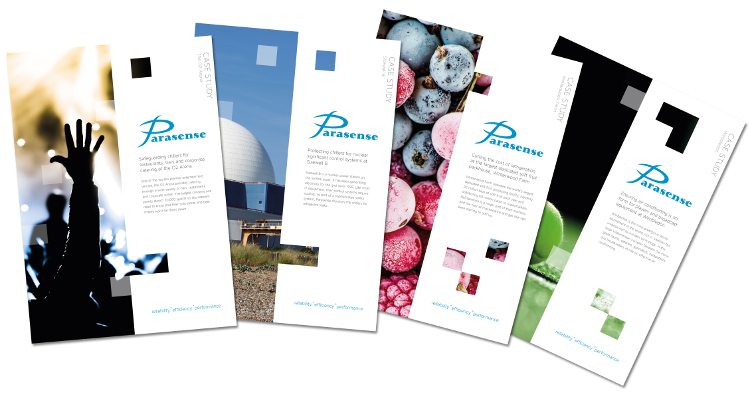 Through conversations with staff and senior clients we drew out unique perspectives on the value that Parasense is delivering, as well as securing approvals for distributing the case studies. To underpin sales activities and generate opportunities, we wrote a series of in-depth articles, exploring hot topics in their industry. The email and LinkedIn campaigns around these articles delivered exceptionally good response rates and proved very effective in renewing relationships with existing customers and generating sales opportunities. If you are looking for a similarly value-oriented, long term relationship with a marketing partner, please talk to us on 0121 663 1011. Browse the Case Study archive. This entry was posted in Uncategorised. Bookmark the permalink.